Cable fire protection on 29 cruise ships in 2016 – a new record. Fire Security is dominating the market for cable fire protection on cruise ships. Terje Waage visiting Fincantieri shipyard where some of our cable protection jobs take place. In 2016 Fire Security set a new record for the number of cruise ships we have protected in one year. 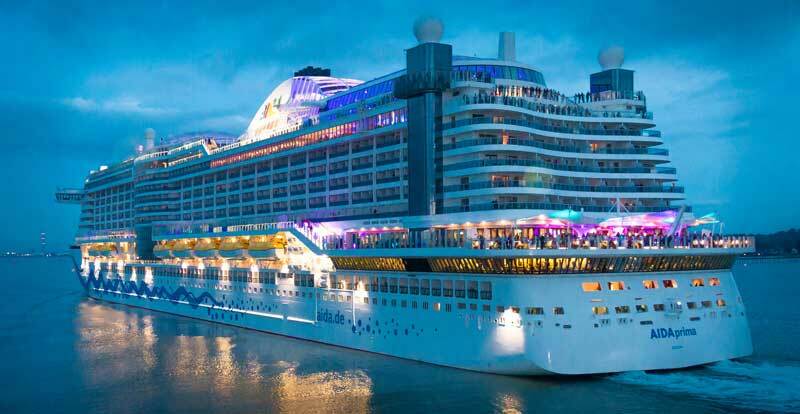 Since we started working on fire protection of cruise ship in 1996, we have protected around 250 ships and we are the preferred supplier in this segment. 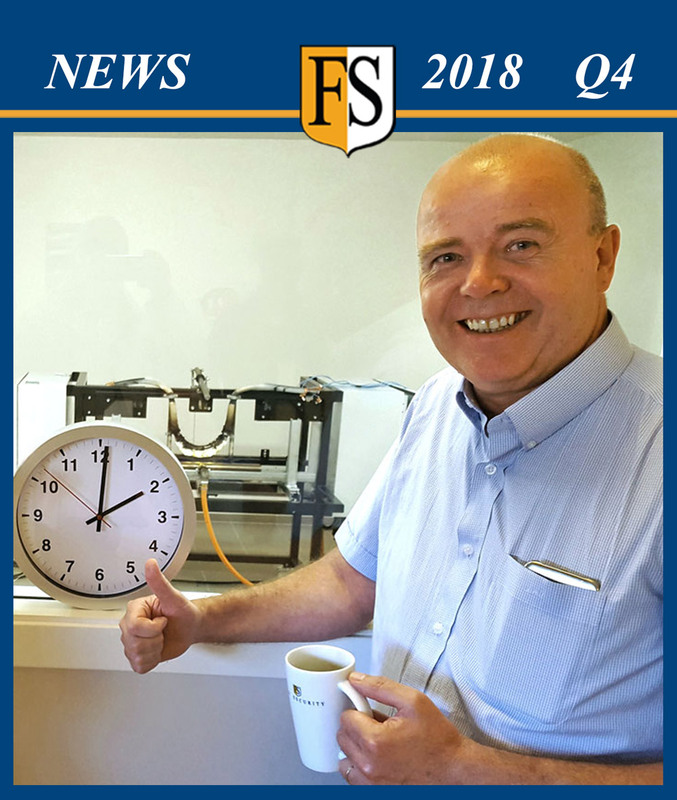 And 2017 is also looking great so far, says Terje Waage – Fire Security’s vice president who is in charge of the cruise segment. The cables are the vessel’s “nerve system”, in particular in areas like the engine rooms, separator-, incinerator-, boiler- and emergency generator rooms. Normal cables cannot withstand the extreme temperatures of an oil fire. With the application of our FS coatings we make sure that cables to vital systems, including emergency systems, are functioning during a fire and will be usable afterwards. Coating cables in the engine room of a cruise ship. We offer a turn-key operation by using our own personnel with worldwide experience. We usually starts and ends a project with an on-site inspection and when we are satisfied with the result, we issue a certificate with 10 year warranty on the application. In addition to many small projects conducted by our coating crew last year, here are some of the bigger jobs. Seabourn Encore – Seabourn Cruise Line, 40.350 tons, 604 passengers. Seabourn Encore cruise ship was built at Fincantieri shipyard. In November 2016 Fire Security protected cables in these areas of the ship: Engine rooms, purifier rooms, incinerator and emergency generator. AIDAprima was fire protected on vital cables in the engine room, incinerator and emergency generator. 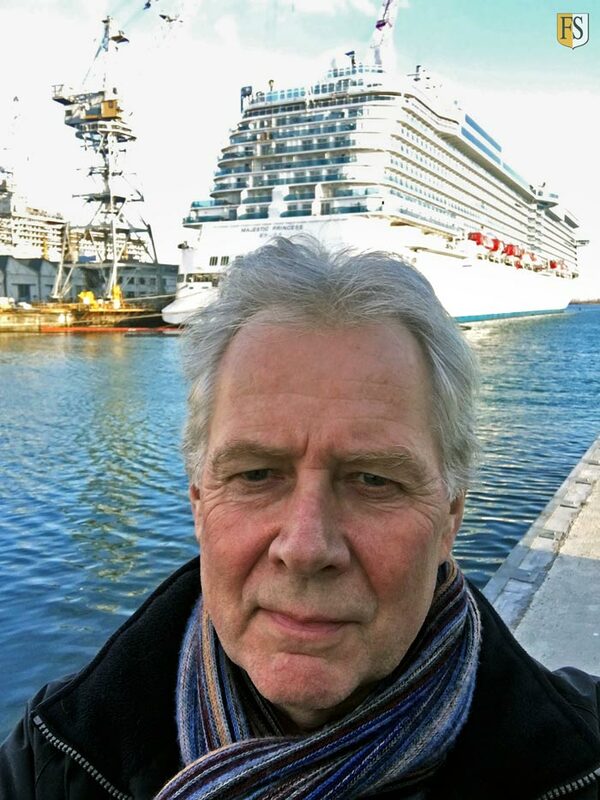 Viking Sea – Viking Cruises, 45.000 tons, 928 passengers. This cruise ship was a new build at Fincantieri shipyard in Ancona in 2016 where we did cable fire protection in Engine rooms and incinerator. AIDAprima – AIDA Cruises, 125.000 tons, 3250 passengers. The ship was built at Mitsubishi shipyard, Nagasaki Japan. In February 2016 we did fire protection on all vital cables in the engine areas, incinerator and emergency generator. Koningsdam – Holland America Line, 99.500 tons, 2650 passengers. The cruise ship Koningsdam was built at Fincantieri, Venezia and was fire protected by us at the the shipyard in March 2016. We coated electrical cables and signal cables in the engine rooms, purifier rooms, boiler room and emergency generator room. Carnival Vista was fire protected at Fincantieri Shipyard. Seven Seas Explorer – Regent Seven Seas Cruises, 54.000 tons, 738 passengers. This new build cruise ship was fire protected by Fire Security at Fincantieri shipyard in June 2016. All critical cables were fire coated in the engine rooms, purifier rooms, incinerator, boiler rooms and emergency generator room. Mein Schiff 5 – TUI Cruises (RCCL), 97.000 tons, 2500 passengers. Mein Schiff 5 was built and fire protected at Meyer Turku in 2016. All vital cable was coated in the engine rooms, incinerator, purifier rooms and emergency generator. Carnival Vista – Carnival Cruise Lines, 135.000 tons, 4000 passengers. 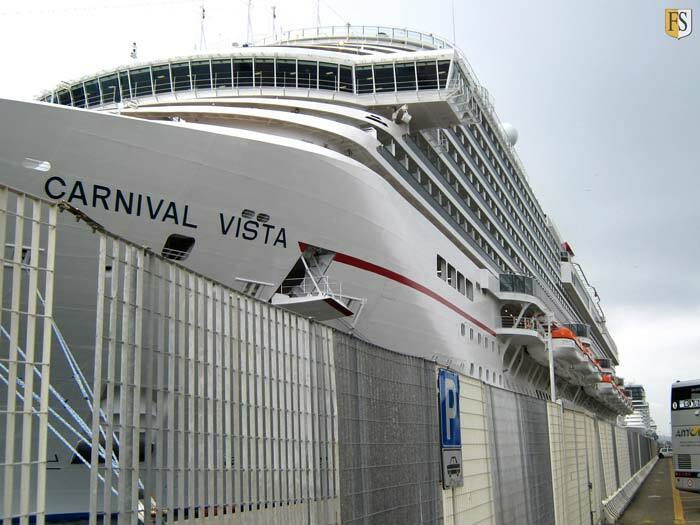 Carnival Vista was constructed at Fincantieri and protected by us at the shipyard in May 206. We protected electrical cables and signal cables in the engine rooms, purifier rooms, incinerator, fan rooms and emergency generator. We protected the world’s largest cruise ship to date. Harmony of the Seas – RCCL – World’s biggest cruise ship as of 2016. Harmony of the Seas – RCCL, 225.000 tons, 5400 passengers. The world’s largest cruise ship was built at STX shipyard in France. In July 2016 we did cable protection coating in the engine rooms, purifier rooms, incinerator, emergency generator rooms and switchboards. SuperSpeed 1 is a passenger and car ferry sailing between Kristiansand Norway and Hirtshals in Denmark. Disney Magic – Disney Cruise Line, 85.000 tons, 1750 passengers. Disney Magic was built in 1998 and protected by FS at the shipyard in Italy. 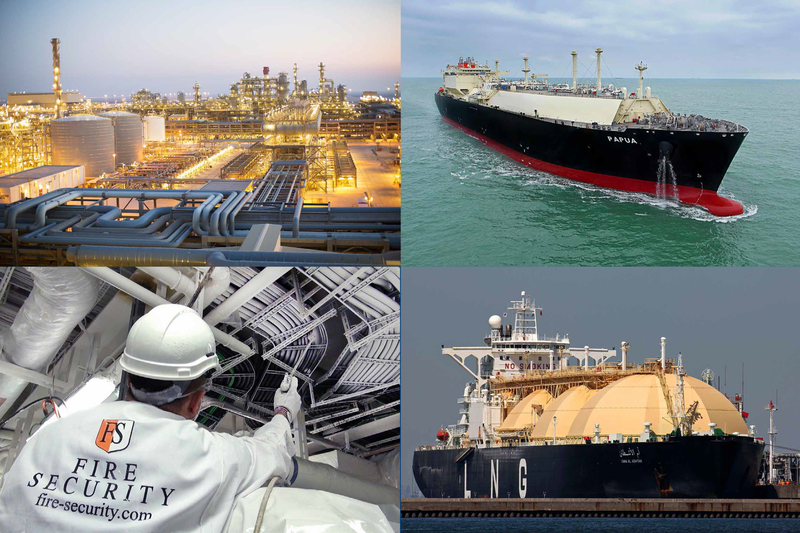 In January 2016 we upgraded the fire protection in the following areas on the machinery deck: engine rooms, purifier rooms, emergency generator, propulsion, stabilizer rooms and casing. SuperSpeed 1 – Color Line, 36.000 tons, 2300 passengers. Superspeed 1 is a passenger and car ferry that was built in 2008 and fire protected at shipyard in Finland. 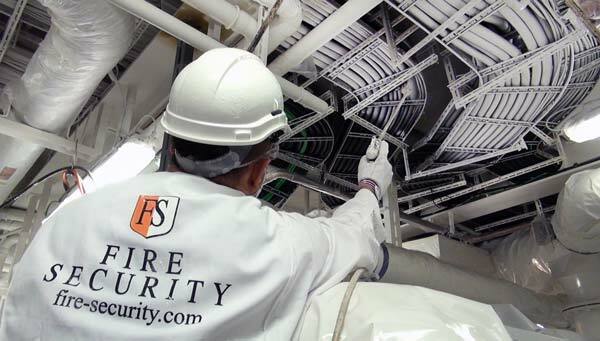 In May 2016, after reconstruction, Fire Security’s coating team protected cables in the engine rooms, purifier, emergency generator and casing. 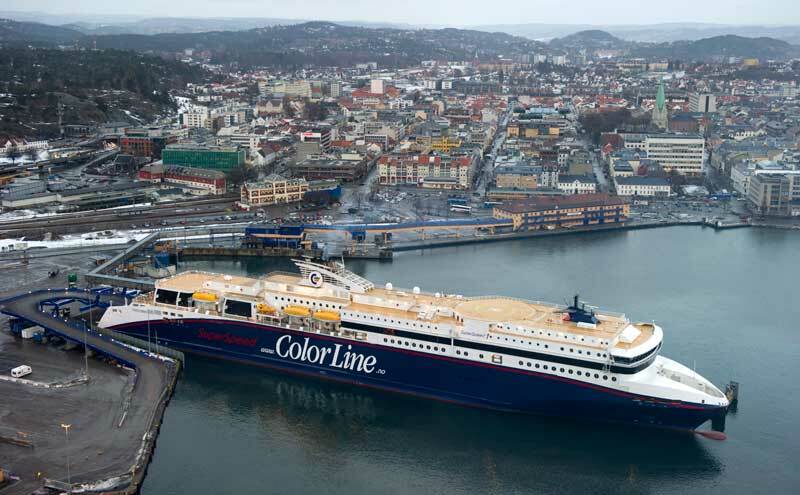 Color Line is one of the leading cruise- and ferry operators in Scandinavia. Fire Security has protected cables on all their vessels in high risk areas like engine rooms and purifier rooms. Seabourn Sojourn – Seabourn Cruise Line, 32.000 tons, 450 passengers. Seabourn Sojourn was built in 2010 and fire protected by Fire Security in 2011. After a reconstruction of the ship in 2016, we did a cable fire protection upgrade in engine rooms, incinerator and emergency generator. Pride of America – Norwegian Cruise Line, 70.000 tons, 2000 passengers. Built in 2005 and fire protected by FS at shipyard. In April 2016 we did a re-certification after 10 years which is our normal warranty period. We coated cables in Engine rooms, purifier rooms, incinerator and emergency generator. On Royal Princess we coated cables at the machinery deck in 2016. Coral Princess – Princess Cruises, 88.000 tons, 1950 passengers. The cruise ship was built in 2002 and fire protected by FS in 2013. In March 2016 we did an upgrade after large reconstructions of the ship. 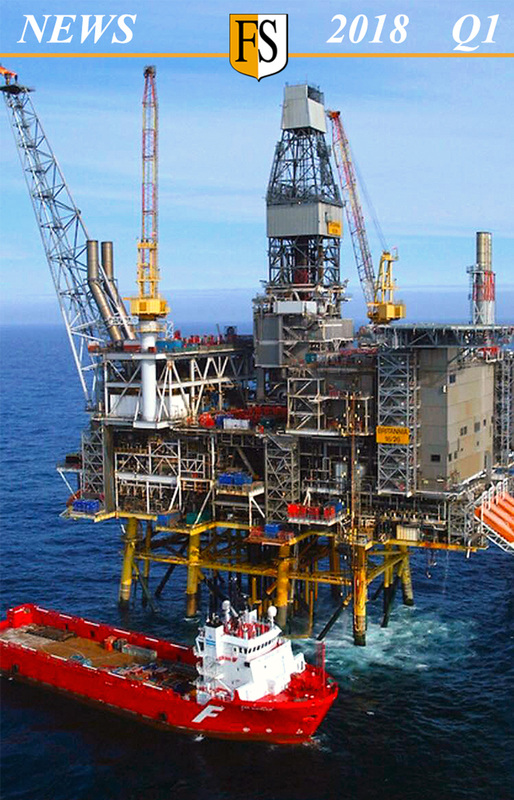 The following areas of the ship was fire protected with our FS1 intumescent coating: engine rooms, purifier room, incinerator, gas turbine room and emergency generators. Royal Princess – Princess Cruises, 141.000 tons, 3600 passengers. Royal Princess was launched in 2002 and fire protected by Fire Security in October 2016. We coated cables in the engine rooms, purifier rooms, incinerator and emergency generator. Splendor of the Seas – RCCL, 69.000 tons, 1800 passengers. This cruise ship was built in 1996 and protected by FS in 2013. In April 2016 the ship was reconstructed and we protected electrical cables at the machinery deck, including engine rooms, purifier rooms, boiler room and emergency generator. We did cable fire protection on 5 cruise ships owned by Costa Crociere. Costa Serena – 112.000 tons, 3000 passengers. Costa Serena was constructed in 2007 and fire protected in 2010 by our specially trained coating crew. In June 2016 we coated all vital cables in engine rooms, purifier rooms, incinerator and emergency generator. Costa Magica was fire protected by Fire Security in 2010 and 2016. Costa Mediterranea – 86.000 tons, 2100 passengers. The chip was built in 2003 and protected by our coating team in i 2009. In July 2016, when the ship was under reconstruction, we did fire protection coating in engine rooms, purifier rooms, azipod rooms and emergency generator. 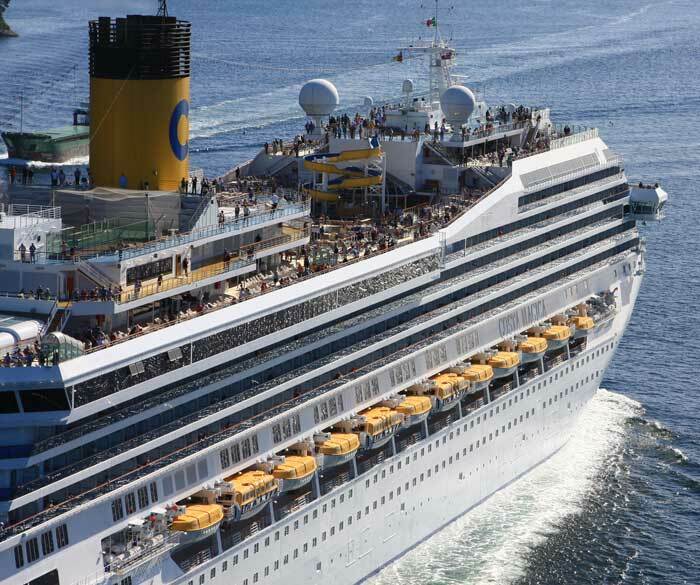 Costa Deliziosa – 92.700 tons, 2260 passengers. This cruise ship was launched in 2010 and was then fire protected by Fire Security. In September 2016, after a reconstruction, we coated all vital cables at the machinery deck. Costa Magica – 103.000 tons, 2720 passengers. Costa Magica was built in 2004 and was fire protected by Fire Security in 2010. The cruise ship was reconstructed in 2016 and we did fire protection in engine rooms, purifier rooms, incinerator and emergency generator. Costa Victoria – 75.000 tons, 1900 passengers. This cruise ship was built in 1996 and protected by FS in 2010. In December 2016, after reconstruction, we upgraded the cables with our fireproof coating cables in engine rooms, incinerator, purifier room and emergency generator. 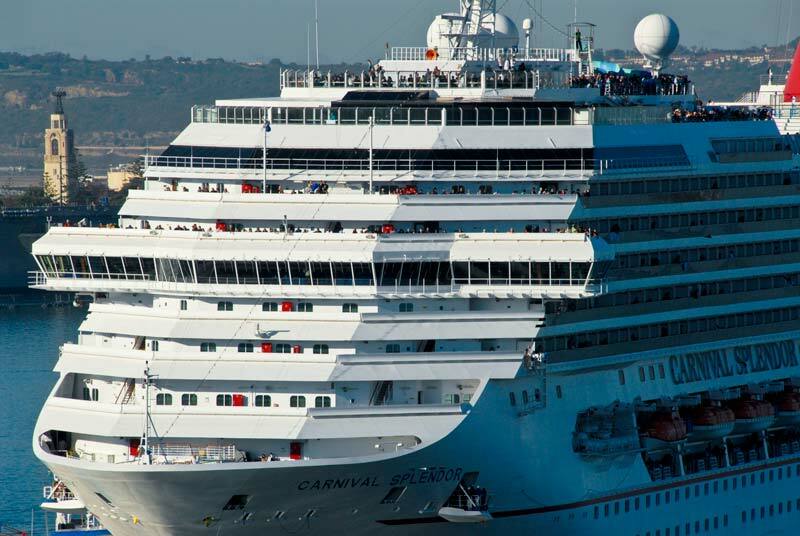 Carnival Cruise Lines chose Fire Security to fire protect all vital cables in their entire fleet of cruise ships. 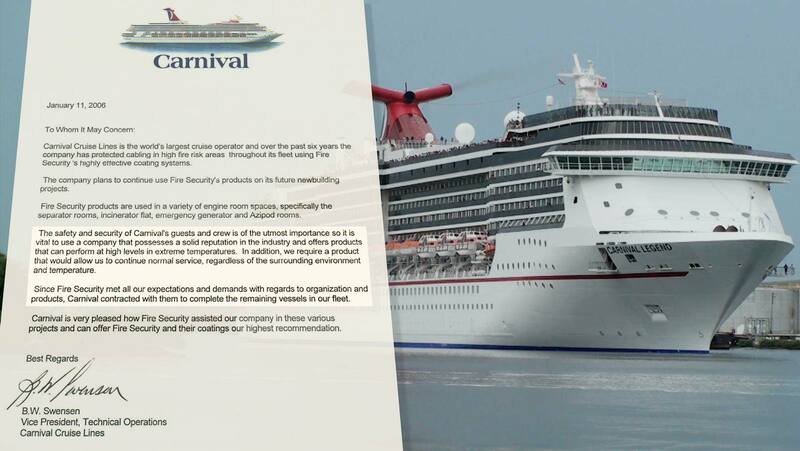 Carnival Cruise Lines is the world’s largest cruise operator and over the last 17 years the company has protected cabling in high fire risk areas throughout its fleet using Fire Security’s highly effective coating systems. 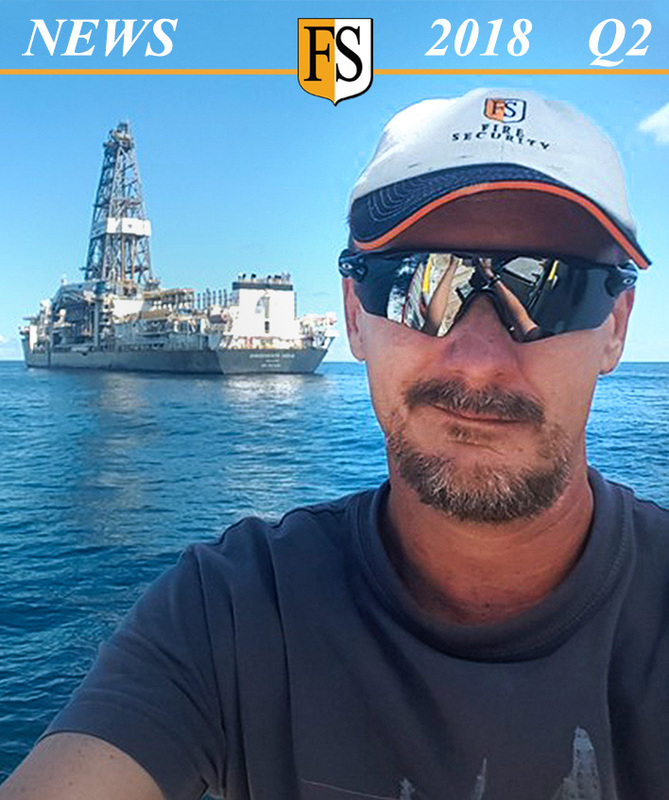 The safety and security of Carnival’s guests and crew is of the utmost importance so it is vital to use a company that possesses a solid reputation in the industry and offers products that can perform at high levels in extreme temperatures. In addition, we require a product that would allow us to continue normal service, regardless of the surrounding environment and temperature. Since Fire Security met all our expectations and demands with regards to organization and products, Carnival contracted with them to complete the remaining vessels in our fleet. Carnival is very pleased how Fire Security assisted our company in these various projects and can offer Fire Security and their coatings our highest recommendation. In 2016 we protected 8 cruise ships for Carnival Cruise Lines and 2 cruise ships operated by Carnival Australia. In June 2016 we did a 10 year recertification – coating electrical cables on Carnival Splendor. Carnival Splendor – 113.300 tons, 3000 passengers. Carnival Splendor was built in 2008 and fire protection was performed at Fincantieri shipyard in June 2016. This was a 10 year recertification and included fire protection in the follow areas: engine rooms, purifier, incinerator and emergency generators. Carnival Valor – 110.000 tons, 2974 passengers. This ship was built in 2004 and protected by FS at Fincantieri shipyard in July 2016 as a 1o year recertification. We fire protected cables in engine rooms, incinerator, fan rooms, casing and emergency generators. Carnival Magic – 130.000 tons, 3650 passengers. Carnival Magic cruise ship was built in 2011 at Fincantieri shipyard where we five years late protected cables in engine rooms, incinerator, fan rooms, casing and emergency generators. Carnival Sensation – 70.300 tons, 2040 passengers. The cruise ship was launched back in 1993 and was fire protected by Fire Security in 2005. 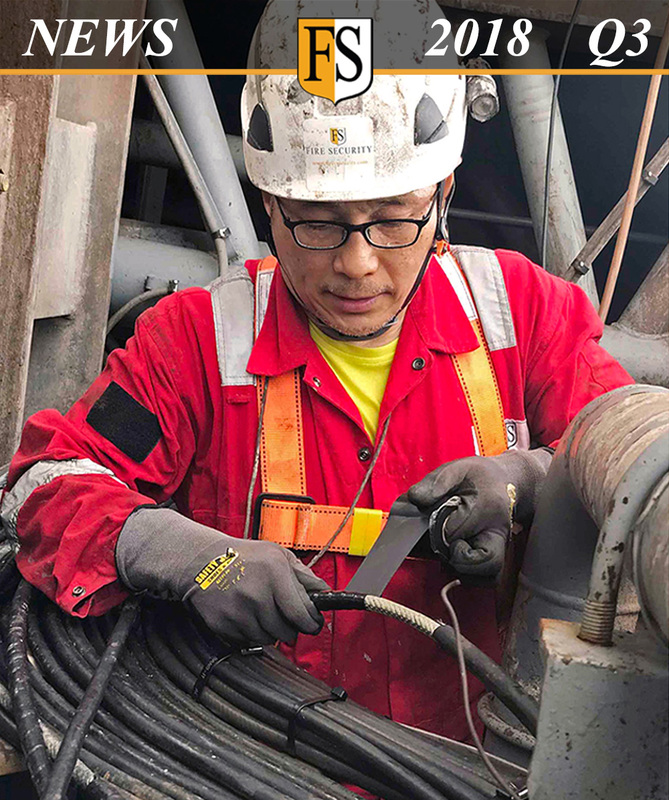 In September 2016 we did a 10 year recertification of cables at the machinery deck. Carnival Fantasy – 70.300 tons, 2040 passengers. Carnival Sensation, built in 1990, protected by FS in 2006 and 10 years later we did a cable recertification in the engine rooms, purifier rooms, incinerator and emergency generator. Carnival Legend – 88.500 tons, 2100 passengers. This ship was built in 2002 and three years later Fire Security was contracted to do fireproofing on vital electrical cables. In 2016 we did a 10 year cable recertification. Carnival Spirit – 88.500 tons, 2100 passengers. Carnival Spirit was built in 2001 and was fire protected by FS in 2005. In October 2016 we did a 10 year recertification of cables at the machinery deck including engine rooms, purifier rooms, azipod rooms, incinerator and emergency generators. Pacific Jewel was fire protected by Fire Security in 2016. Pacific Jewel – Carnival Australia, 70.000 tons, 1578 passengers. This cruise, launched in 1990, was fire protected by FS in 2013. In December last year, after a reconstruction, we performed a fire upgrade on cables in engine room, incinerator, boiler and purifiers. Pacific Dawn – Carnival Australia, 70.000 tons, 1590 passengers. Constructed in 1991, Pacific Dawn was fire protected by Fire Security in 2013. In December 2016 the ship was reconstructed and we coated vital cables in engine room, incinerator, boiler and purifiers. Passive fire protection by the use of cable coating has become a requirement from insurance companies in many industries. Cables protected with FS1 intumescent coating will withstand an oil fire at 1100 degrees C for more than one hour. 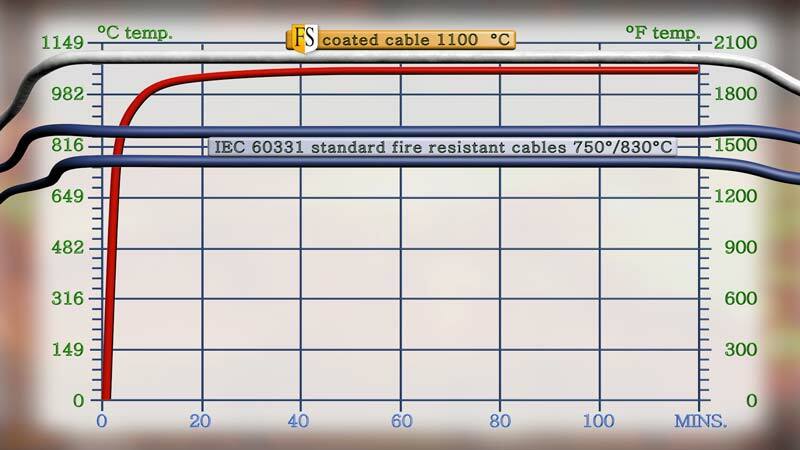 FS cable coatings are certified to withstand an 1100 degrees oil fire for more than 1 hour making sure that all cables are functioning in case of a fire. The coating system will prevent spread of fire via the cables and strongly reduce smoke emission. Our coatings are water based and non poisonous. Standard cables are produced to withstand only a temperature up to 750 (old standard) or 830 degrees C. Most cruise operators therefor use Fire Security’s fire protection system to secure the ship, its passengers and crew.